November was an event-packed month! I don’t think I have ever eaten this many types of food in a month before. November is also when I finally reached 5,000 followers in instagram. Below is a video to commemorate the milestone. Enjoy! I wanted to reiterate that this blog serves as a journal for me so that I can recount all of the fun events and tastings I have been a part of. These recaps are not for critiquing; since I receive food for free, it would be unfair for me to critique a business; that is what I use Yelp for. Yelp is where I have the freedom to critique the service, ambiance and food at places where I dined as a paying customer. Maybe eventually I will start a different section on my page along with my recipes and call it “Recipes and Reviews” where I do a full review of a restaurant with even more detail than my Yelp reviews, but for now, this is my personal journal for food events. Enjoy! I received an invitation to attend the grand opening party in Tustin at the Marketplace, and I brought @missmisschelle/@notsomisshealthy with me. Since this party was open to the public, it was a full house and there were a few hundred people who attended! Luckily, my friend and I stood near the kitchen so we were able to get enough food to eat during this event. There were cocktails, bites, and music and it was very lively! I enjoyed the beef, potstickers, soup dumplings, honey walnut shrimp, and various sushi rolls they were serving. It was exciting to be a part of this and I know the restaurant is going to do very well at that location! We had no idea that such a nice restaurant like this existed so close to the UCLA campus. It was a nice and hip bar scene and we got to try their cocktails, share an appetizer and try three entrees. We enjoyed the Dragon Cocktail and Teatime Collins, along with some delicious bread while we waited for our appetizer. For our appetizer, we got a beautiful charcuterie plate that included chicken liver mousse, foie gras, a sweet jam, and various meats and cheeses. The entrees were just as, if not more, amazing! We got the Oven-Roasted 10 oz. Filet Mignon, Grilled Double-Cut Pork Chop, and Iron-Seared Sea Scallops. 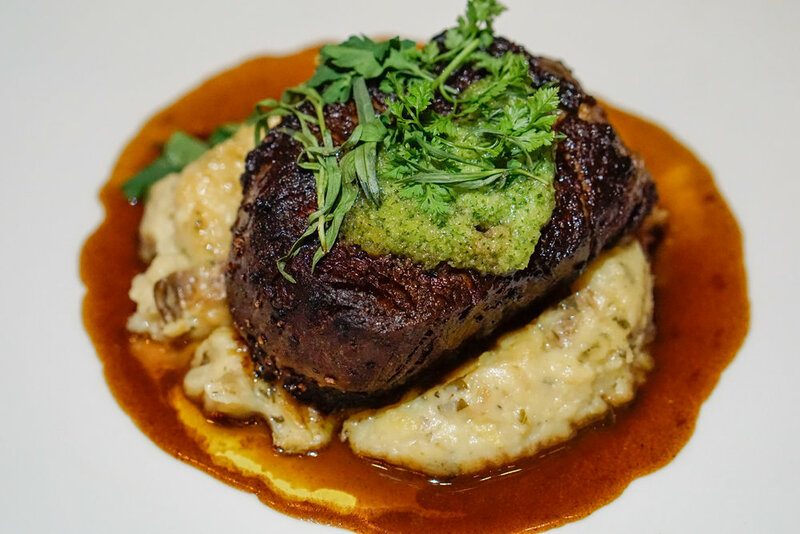 Everything was juicy and cooked to perfection and I had a great time trying out their impressive menu! 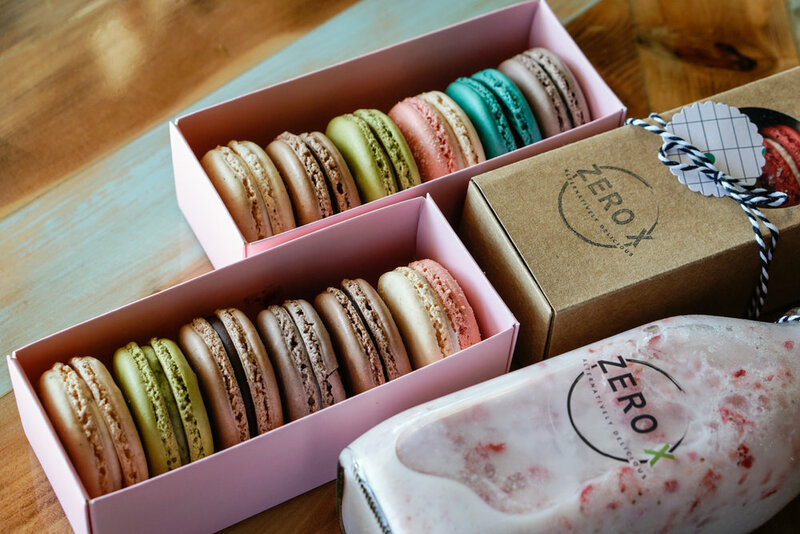 This was my first time trying Zero X, which is part of the Zero Degrees group of stores. 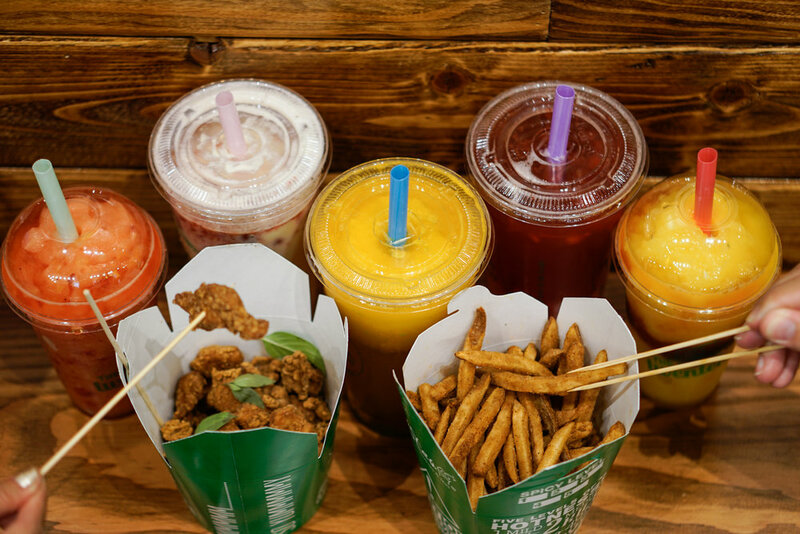 They had a lot of special menu items specific to this location only, such as the Pink Lychee, Sea Salt Thai Tea Slush, Freezy Matcha, Pink Guava, and the The X Refresher. 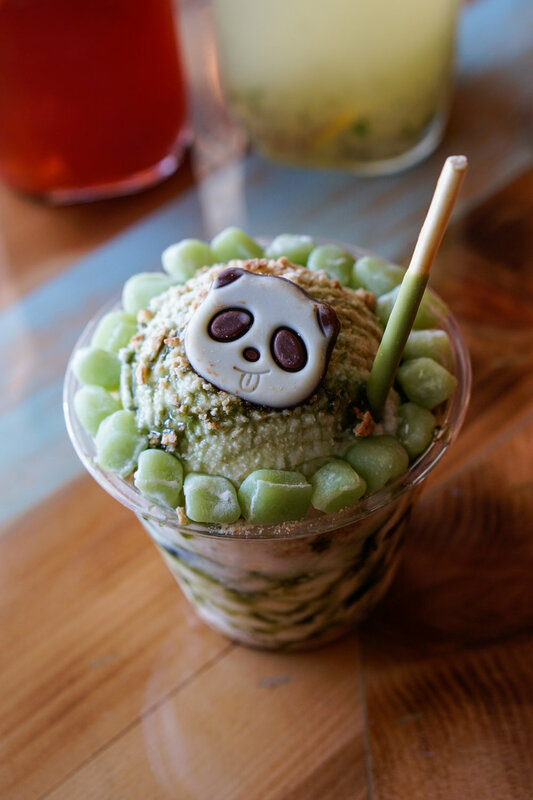 My favorite item was the Freezy Matcha, since it came with that cute panda cookie pictured. They also let us try one of their newest items, the Strawberry Basil Tea. Everything was very refreshing and sweet that I was too full to eat dinner that day! I would definitely visit this location again, since I love their special menu items and also enjoy the classic items, such as the Raindrop Cake and the Chamango. I had admired pictures that other people have posted on Instagram about Angelina’s Pizzeria, and Blaze PR Team happened to contact me to try their menu. We ordered the octopus salad and a Diavolo pizza, and the manager thought it would be nice to add in a cocktail called The Angelina to pair with the meal, which turned out to be a great idea! The presentation of the meal was excellent and everything was so tasty. I loved how unique the octopus salad was. For the pizza, we had the option to get the spicy salami, which was quite spicy, and it paired well with the chili oil they provided. 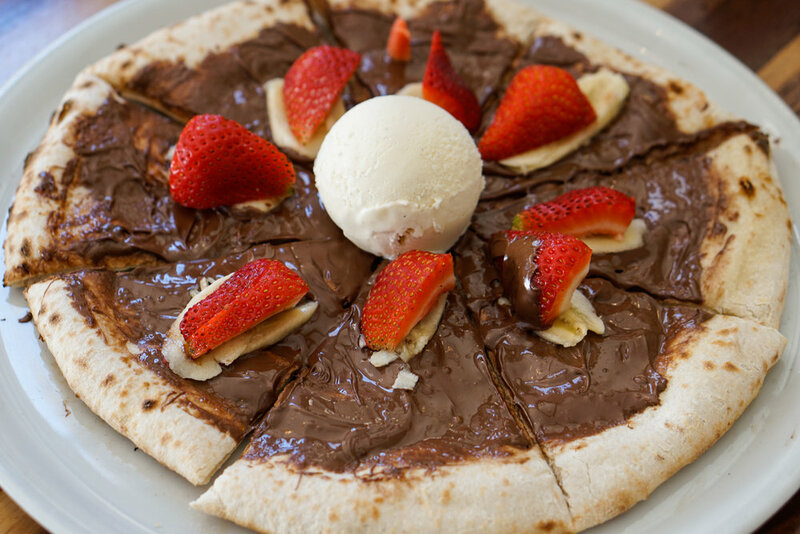 The manager then surprised us with a Nutella Pizza for dessert, which had strawberries, bananas and ice cream on top! It was my first time having something like this! 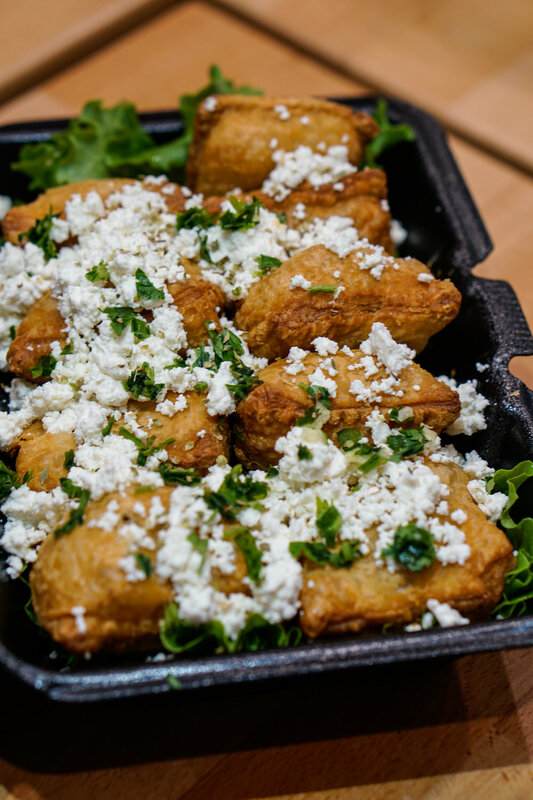 I have always been a big fan of Greek food, and if I ever have a wedding, we would serve Greek food during the reception. 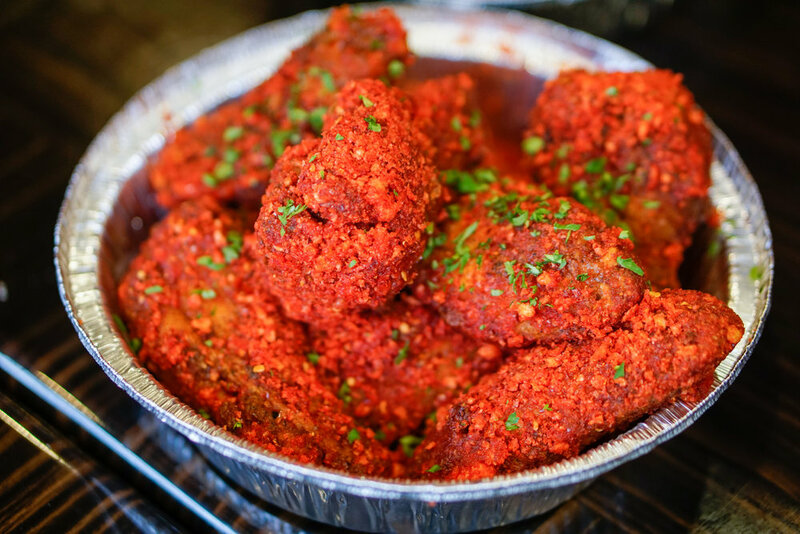 We already had one restaurant’s catering services in mind, but because of the great food we had at Good Greek Grill, it made me consider using their catering services as well! That day, they were celebrating their newest location in Hollywood. We got to try bites such as dolmas and spanakopita, as well as get one of their signature gyros. 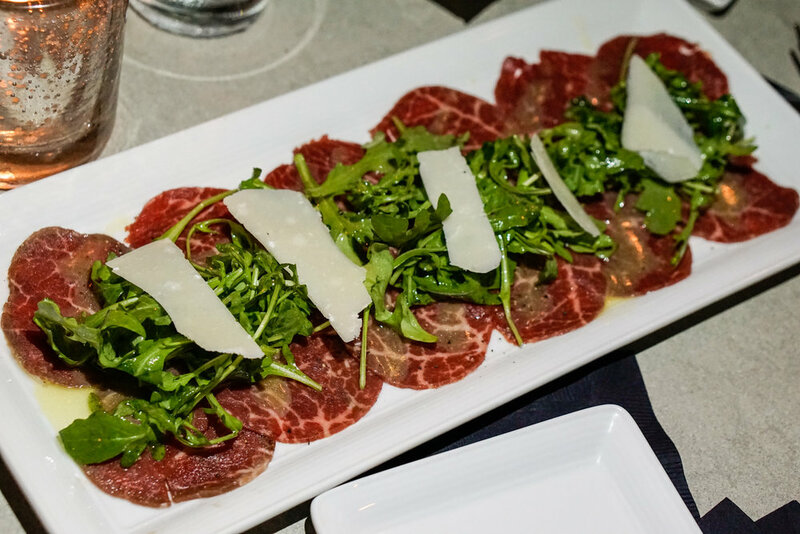 The meat and flavors were so fresh and savory. The staff shared with us some other items, such as a Greek Yogurt Parfait and Frappe. 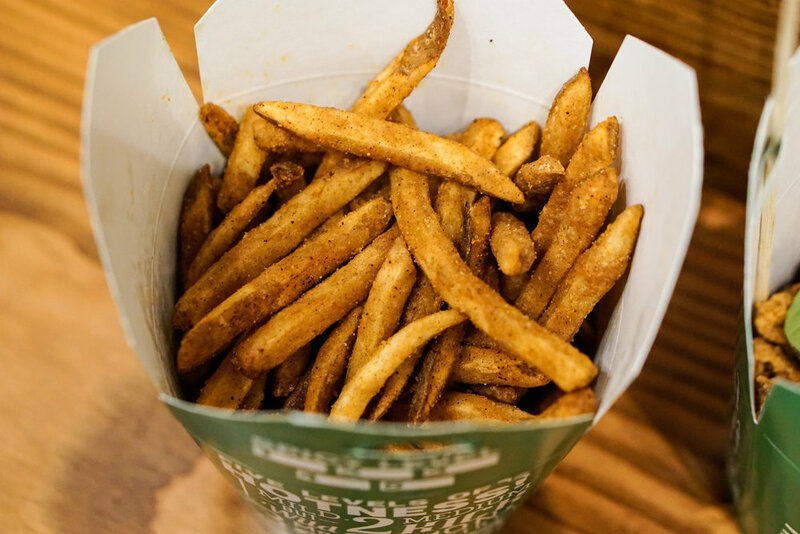 I will have to come back to try more of the menu, like the Zeus fries! Tastea recently opened a location in Chino Hills, and I took part in the media preview event. I had previously tried Tastea at their Garden Grove location, and at their booth at the 626 Night Market. I love their drinks and the names for all their menu items. I ordered some Karate Choped Popcorn Chicken and a Buttload'a Fries. Some of their fun drinks included Peach Me Sweetea, Bootea Shaker, Mango All the Way!, Peach Me Freezie, and Lychee Storm. Their menu has grown a lot ever since I first visited them, so I was so happy to be a part of celebrating their newest location! Blaze PR invited me to attend a media dinner event at this newly opened restaurant in the Beverly Grove neighborhood of Los Angeles. It was dim and cozy in the restaurant, and we got to try a sampling from all the categories on the menu, from the cocktails to the appetizers to the meats and pastas. For the cocktails, we got the Bait and Switch, and Sazerac. 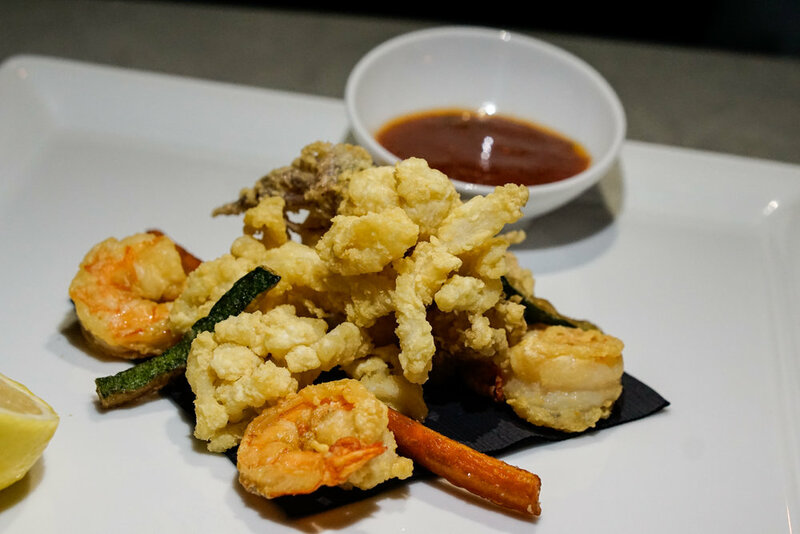 For food, we enjoyed the Tris Di Bruschette (Bruschetta), Fiori Di Zucca (Fried Stuffed Zucchini Blossom) Fritturina (Fried Calamari and Shrimp), Tris Di Carpaccio Di Mare (Amberjack), Carpaccio Di Manzo (Beef Carpaccio), Carciofi Alla Romana (Artichokes), and their Ravioli (lobster, asparagus and pumpkin flavors). They also gave a sampling of the Polletto (Chicken) and Tomahawk (Bone-in Ribye). At the end of the night, we were too full to have dessert but this meal was definitely filling with all the samplings we got from trying a great selection from the entire menu! I had seen the rainbow rolls on Instagram and was so happy I had a chance to stop by to check out the pastries and drinks from this bakery! The hosts and the staff did an amazing job setting up the dessert table to feel like it was a bridal shower or baby shower. 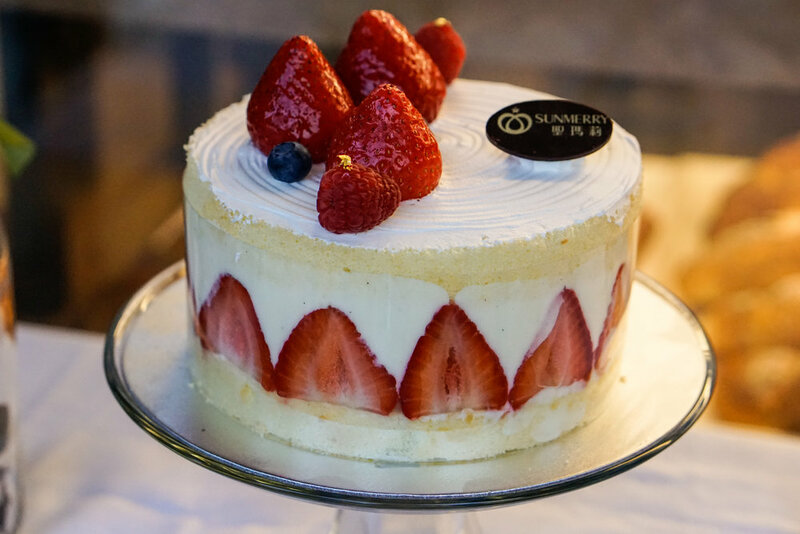 A few of my favorite items were the Rainbow Roll Cake, White Chocolate Mousse Cup, Strawberry Mousse Cup, BBQ Bolo Bun, and the Fresh Lemon Honey Green Tea. I am happy to see this location thriving. I also happened to be in Temple City and found that they would be opening a location there soon! So exciting! We had the opportunity to dine here for a weekend brunch. Their menu was not complicated but it took me a while to decide what to get here! We got the Ultimate Breakfast Burrito, Super Florentine Omelet, and a Breakfast Combo with Spicy Cajun Andouille Sausage. 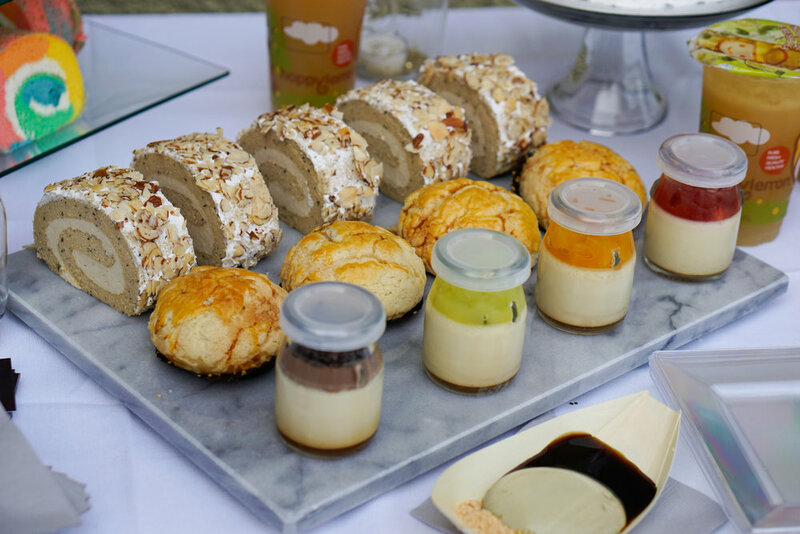 I loved that there was plenty of dipping options that were available to us! I believe that our meal was hefty, hearty and balanced, as a brunch should be! Everything was so delicious and the owner was very friendly and welcoming! 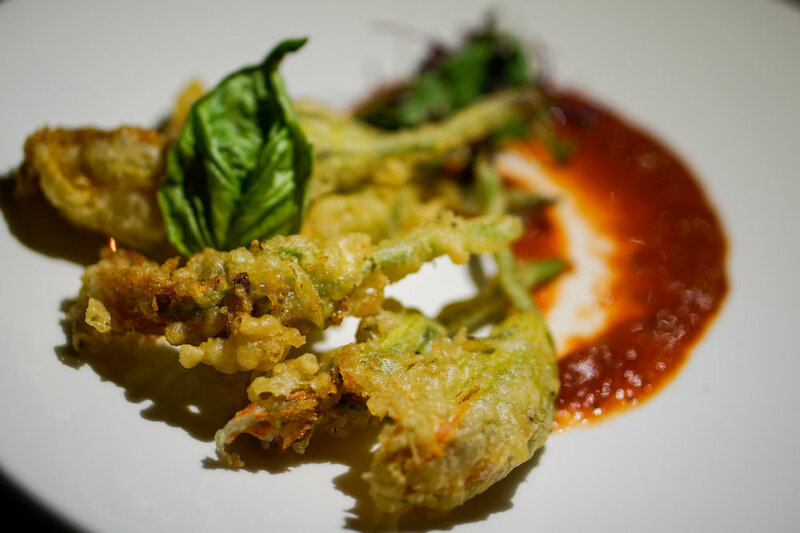 I have visited Rose City Pizza since 2011, and their menu always has something new and innovative every time I visit. I was so happy that the restaurant and the hosts invited me to come try their new creations featuring Hot Cheetos. 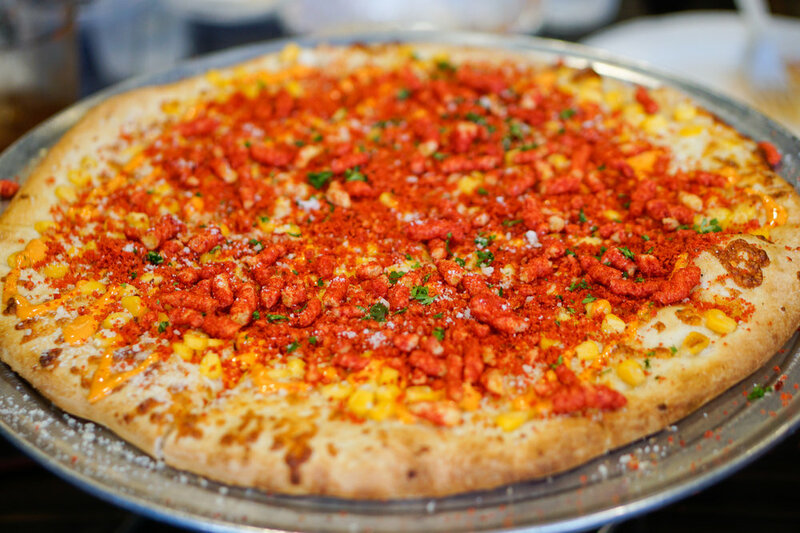 I already love Hot Cheetos but never imagined I would try it on a pizza, over tater tots or on chicken wings! As you can see in the pictures, we got pretty much everything! I am unable to choose a favorite so I will list them all: Buffalo Chicken Tater Tots topped with Hot Cheeto Crumbles, Flamin' Hot Penne Pasta, Hot Cheeto Mozzarella Balls, Elote Pizza, Sweet Chili Cheeto Encrusted Wings, Flamin' Hot Loaded Potato Pizza, and Flamin' Hot Curry Corn Fries. I had some awesome Flamin' Hot Micheladas too! I normally do not get micheladas since there is usually too much tomato juice for me, but this drink was so unique and was delicious! These items are all currently in their menu but they will do a promotion for it by early next year. I can't wait! I do not normally drink juices but I know it is important to stay healthy and consume fresh and organic ingredients to detoxify your body. 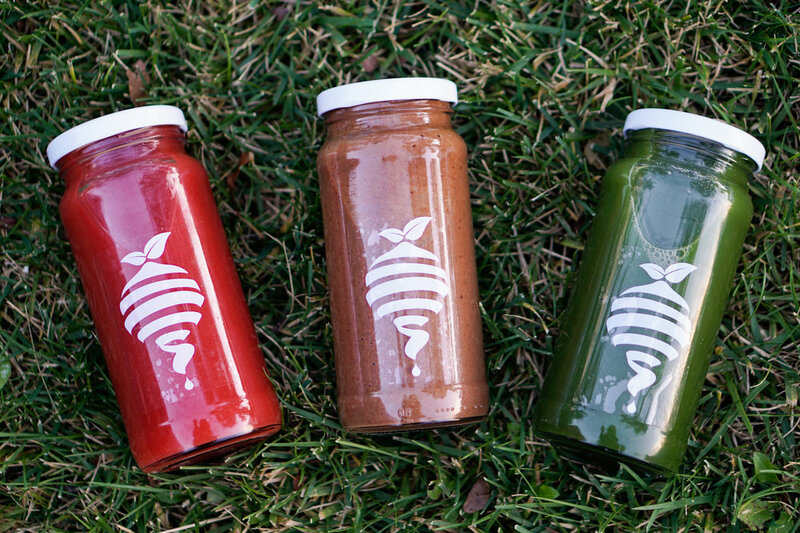 Through this company, I received a good amount of different juices, from smoothies, to juice, to shots/tonics. 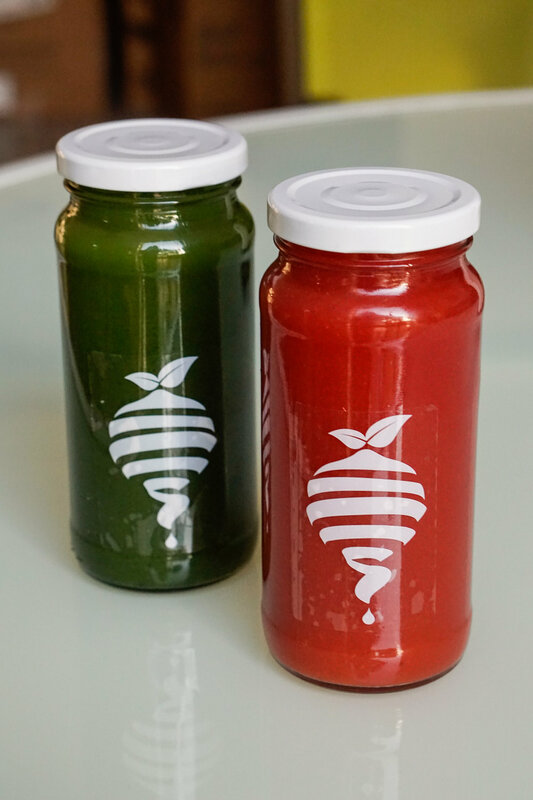 The juices were refreshing and delicious, and I enjoyed the Joy Juice (red) and Citrus Cleanse (yellow), but the shots/tonics were way more potent. 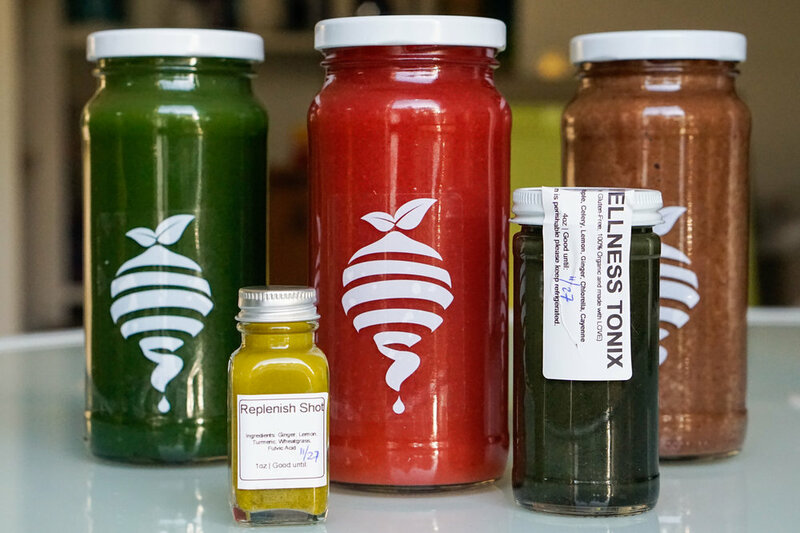 I would not say this is for me, but I am glad there is a convenient option for those who do enjoy drinking juices and committing to detoxification and cleansing the body of impurities. The location is very convenient and they make everything fresh on site, and they write informative blog posts on their website! 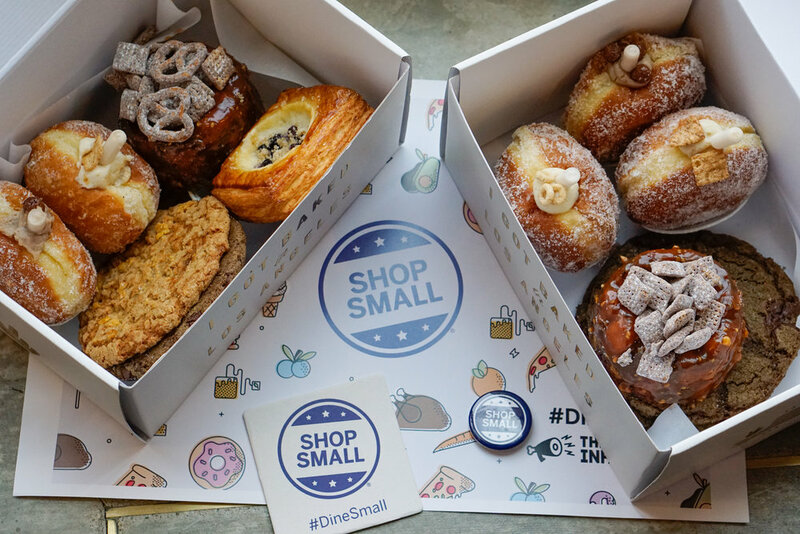 Infatuation and Daily Food Feed wanted to celebrate Small Business Saturday at Mr. Holmes Bakehouse by featuring limited-edition booze-infused donuts made by Jeremy Fall, owner of the bar, Nighthawk. We got their Spiked Coco Puffs, Spiked Honey Nut Cheerios, and Spiked Cinnamon Toast Crunch, as well as their Black Cat Espresso cookie. 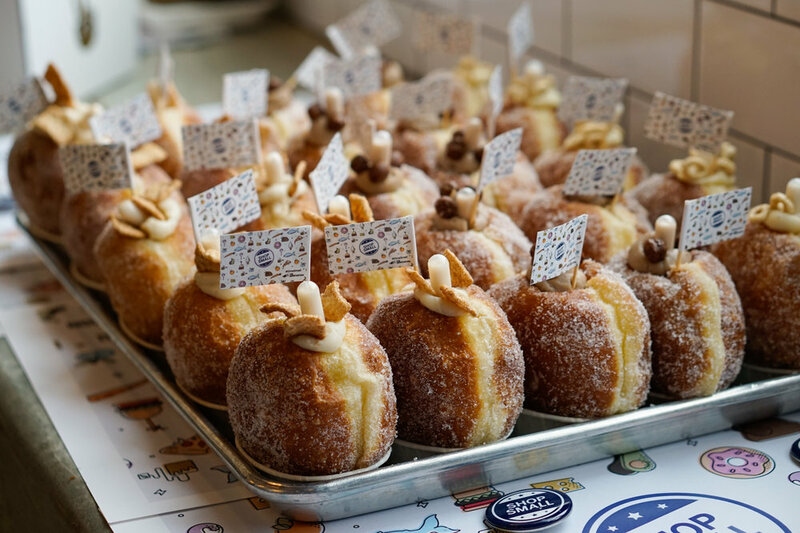 I have never had booze-infused donuts and coffee-infused cookies! It was great to try such unique creations and I hope they bring them onto their menu in the future! Doner G was celebrating their newest location in Lake Forest! I was unable to make the media event that week but made arrangements to visit to Santa Ana a few days beforehand. 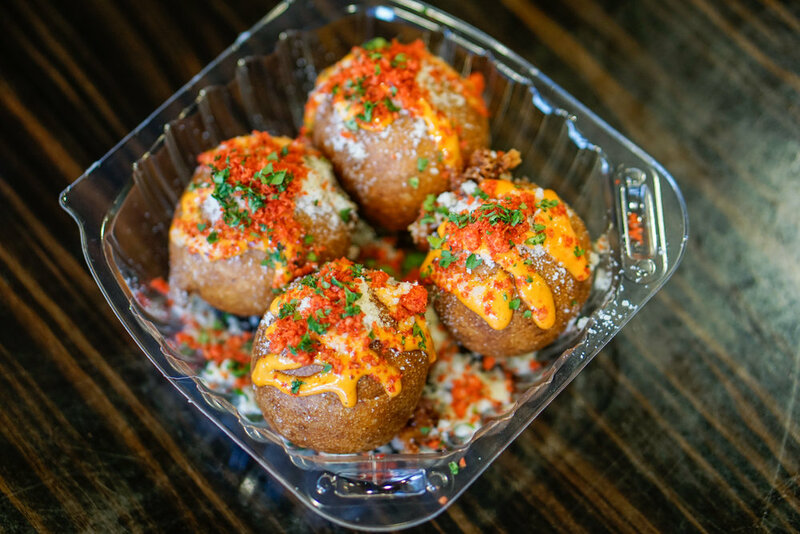 What stood out to me on the menu was Instanbowl and the Turkish Street Fries, which were also goin to be on the menu at the Lake Forest location. The rice pilaf and meat in the Instanbowl were so flavorful, and I could not get enough of the fries; the fries had a cajun-like seasoning, and the plate included lots of feta cheese and their amazing Doner Sauce! 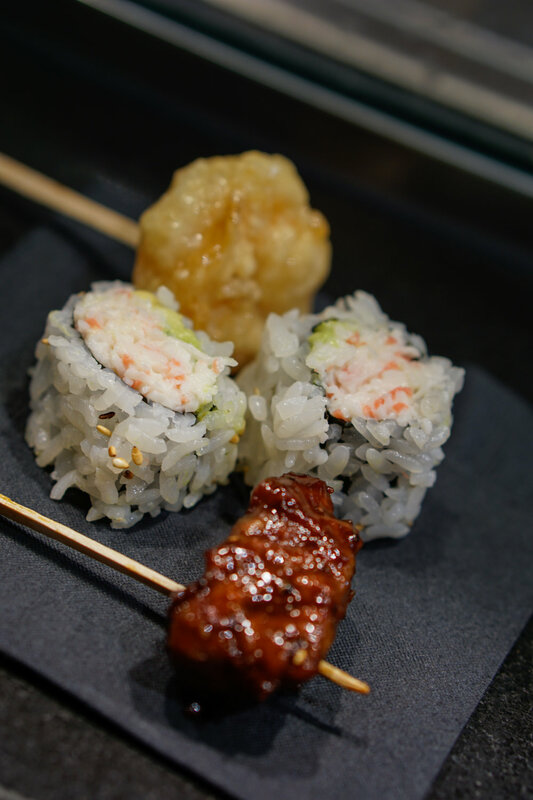 It was hard to resist eating the two dishes in one sitting! I hope more locations open up near San Gabriel Valley/Los Angeles region. Thanks for making it to the end of the post! I realize it was one of my longest posts since November has been the most event-filled month so far. I am looking forward to what the new year will bring and am excited for more adventures to come!